For high voice and piano/organ. The original is in E minor, but a version in D minor is also available. Text Lord, make me an instrument of Your peace. 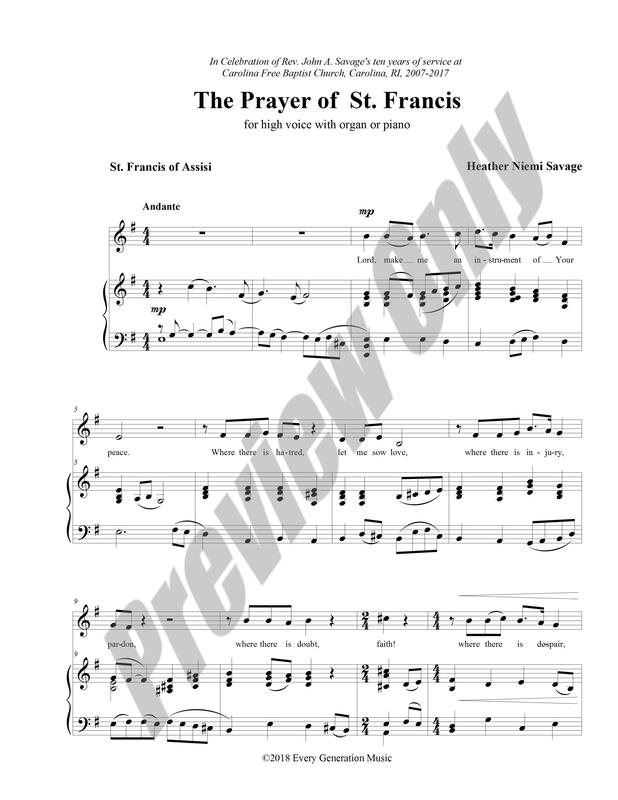 You will be licensed to print 2 copies, one for the soloist and one for the pianist/organist. 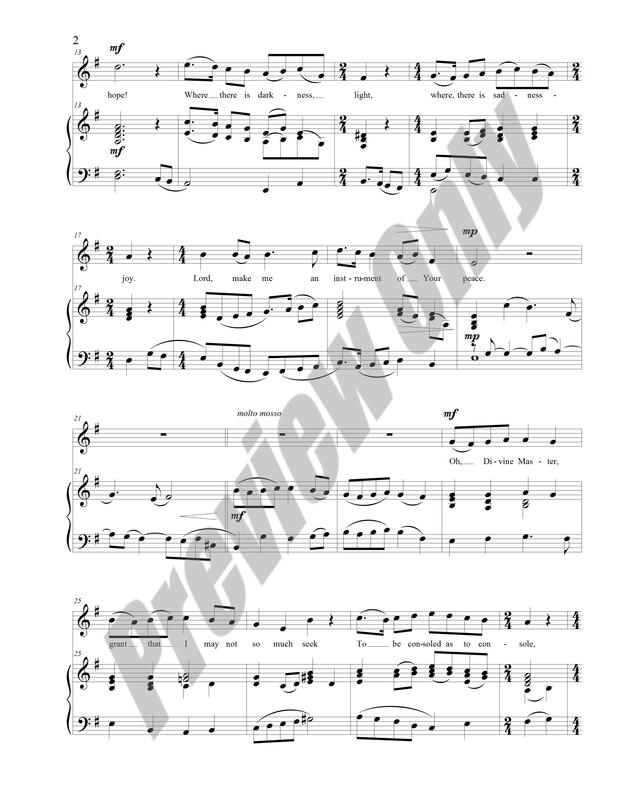 A PDF of the score will be sent via email. Please allow 48 hours. 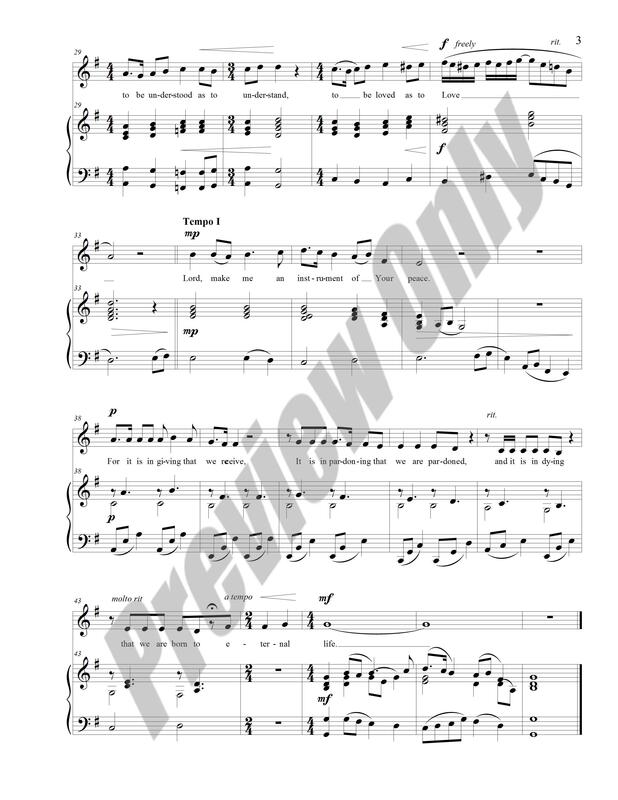 If you would prefer the D minor version, please contact me. Order processing is handled by my publishing company, Every Generation Music. Print edition prices include regular mail shipping within the continental United States. If you need something different, or if you would prefer the D minor edition, please contact me. Print editions are printed on a per-order basis. Please allow a lead time of 2-3 weeks before shipping. Order processing will be handled by my music publishing company, Every Generation Music.